The Speaker of the Maryland House of Delegates presides as speaker over the House of Delegates in the state of Maryland in the United States. The Maryland House of Delegates is the lower house of the legislature of the State of Maryland. It consists of 141 delegates elected from 47 districts. The House of Delegates Chamber is in the Maryland State House on State Circle in Annapolis, the state capital. The State House also houses the Maryland State Senate Chamber and the offices of the Governor and Lieutenant Governor of the State of Maryland. Each delegate has offices in Annapolis, in the nearby Casper R. Taylor Jr. House Office Building. ↑ Wooton was forced to leave his position because of a family situation with his brother, and, on March 13, 1777, Nicholas Thomas was chosen to replace him. 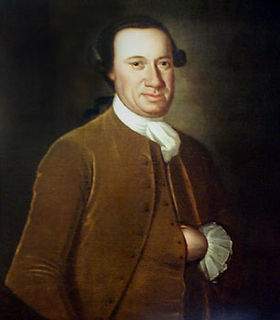 John Hanson was a merchant and public official from Maryland during the era of the American Revolution. In 1779, Hanson was elected as a delegate to the Continental Congress after serving in a variety of roles for the Patriot cause in Maryland. He signed the Articles of Confederation in 1781 after Maryland finally joined the other states in ratifying them. In November 1781, he was elected as first President of the Confederation Congress, following ratification of the articles. For this reason, some of Hanson's biographers have argued that he was actually the first holder of the office of president. The Maryland General Assembly is the state legislature of the U.S. state of Maryland that convenes within the State House in Annapolis. It is a bicameral body: the upper chamber, the Maryland State Senate, has 47 representatives and the lower chamber, the Maryland House of Delegates, has 141 representatives. Members of both houses serve four-year terms. Each house elects its own officers, judges the qualifications and election of its own members, establishes rules for the conduct of its business, and may punish or expel its own members. The Maryland State House is located in Annapolis, Maryland as the oldest U.S. state capitol in continuous legislative use, dating to 1772 and housing the Maryland General Assembly, plus the offices of the Governor and Lieutenant Governor. The capitol has the distinction of being topped by the largest wooden dome in the United States constructed without nails. The current building, which was designated a National Historic Landmark in 1960, is the third statehouse on its site. The building is administered by the State House Trust, established in 1969. 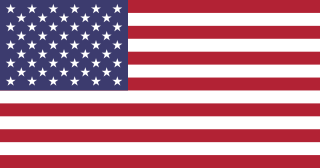 Philip Francis Thomas was an American lawyer and politician. The Maryland Senate, sometimes referred to as the Maryland State Senate, is the upper house of the General Assembly, the state legislature of the U.S. state of Maryland. Composed of 47 senators elected from an equal number of constituent single-member districts, the Senate is responsible, along with the Maryland House of Delegates, for passage of laws in Maryland, and for confirming executive appointments made by the Governor of Maryland. Thomas Sim Lee was an American planter and statesman of Frederick County, Maryland. Although not a signatory to the Declaration of Independence, the Articles of Confederation or the US Constitution, he was an important participant in the process of their creation. Thomas Sim Lee was the second State Governor of Maryland, serving twice, from 1779 to 1783 and again from 1792 to 1794. Thomas Sim Lee also served as a delegate of Maryland in the Congress of the Confederation in 1783 and was a member of the House of Delegates in 1787. He worked closely with many of the Founding fathers and played himself an important part in the birth of his state and the nation. The West Virginia House of Delegates is the lower house of the West Virginia Legislature. Only three states—Maryland, Virginia, and West Virginia—refer to their lower house as the House of Delegates. Jesse Burgess Thomas was an American lawyer, judge and politician who served as a delegate from the Indiana Territory to the tenth Congress and later served as president of the Constitutional Convention which led to Illinois being admitted to the Union. He became one of Illinois' first two Senators, and is best known as the author of the Missouri Compromise of 1820, although after his retirement from the U.S. Senate in 1829 he lived the rest of his life in Ohio. Francis Thomas was a Maryland politician who served as the 26th Governor of Maryland from 1842 to 1845. He also served as a United States Representative from Maryland, representing at separate times the fourth, fifth, sixth, and seventh districts. Ferdinand Claiborne Latrobe was a seven-term Mayor of Baltimore, state legislator and attorney during the 19th century. Michael Erin Busch was an American politician who served as Speaker of the Maryland House of Delegates from 2003 until his death in 2019. Busch was a member of the House since 1987. He represented District 30A, which encompasses parts of Anne Arundel County, including the state capital of Annapolis. Sydney Emanuel Mudd I was a politician, elected as Speaker of the Maryland House of Delegates (1896) and as a Republican to the United States House of Representatives, at a time of dominance by Democrats in much of the state. He was first seated by Congress in 1890 after it found in his favor in relation to the contested 1888 election in Maryland's 5th congressional district, which was marked by fraud and intimidation. Archibald Van Horne was an American politician. George C. Edwards is a member of the Maryland Senate. Casper R. Taylor Jr. served as Speaker of the Maryland House of Delegates from 1994–2003, among the longest Speaker's tenures in Maryland history. Adrienne A. Jones is the current Speaker Pro Tem of the Maryland House of Delegates, the first African-American female to serve in that position in Maryland. She was appointed by Governor Parris Glendening to fill the vacancy created by the death of Delegate Joan Neverdonn Parker in 1997. The 1912 Democratic National Convention was held at the Fifth Regiment Armory off North Howard Street in Baltimore from June 25 to July 2, 1912. Thomas Hunter Lowe was Judge, Maryland Court of Special Appeals (1973-1984), Speaker of the Maryland House of Delegates (1969-1973), and Delegate to Maryland General Assembly (1958-1973). The Delegates' Office Building was named for him in 1973. Robbyn Terresa Lewis is an American politician who represents the 46th legislative district in the Maryland House of Delegates.